The Sweethearts of Bluegrass Music, Darin and Brooke Aldridge, will be performing at the new Earl Scruggs Center on January 11th. Darin and Brooke Aldridge, are from Cherryville N.C. and are one of the best duos in acoustic music these days. In 2011 the International Bluegrass Music Association (IBMA) voted them an Emerging Artist of the year nominee two years in a row and the Society for the Preservation of Bluegrass Music (SPBGMA) voted them as gospel group, album, and song of the year nominees. Nashville, TN -- Legendary musician Earl Scruggs’ Gibson RB-Granada Mastertone banjo will become part of the Country Music Hall of Fame® and Museum’s “Precious Jewels” display, museum officials announced today. This banjo, which was Scruggs’ primary instrument and has never before been exhibited, will go on display July 12. 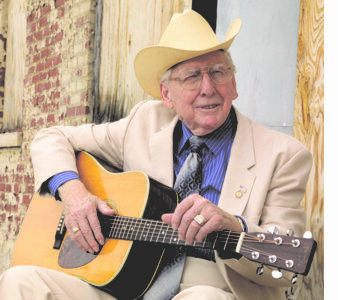 Bluegrass legend Curly Seckler is scheduled to participate in an Earl Scruggs Storytelling Session during the IBMA World of Bluegrass event in Nashville later this month. The session will take place on Tuesday, September 25, from 8:00 - 9:30 AM in the 3rd Floor Lounge in the Nashville Convention Center. Others scheduled to take part include Haskel McCormick, Gerald McCormick, and Kent Blanton (and probably a surprise guest or two). 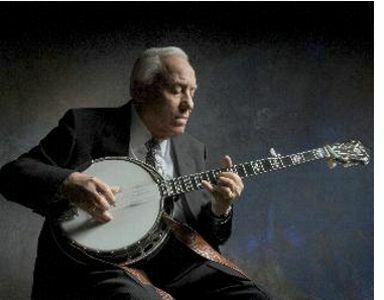 Earl Scruggs almost single-handedly perfected and popularized the rolling, three-finger banjo technique ("Scruggs Style") that has become the signature sound of bluegrass music. Now, with his recent passing, this tribute album consisting of new recordings from many of the genre's best bluegrass pickers has become a memorial; his pervasive influence apparent on every track. Each year since 2002 the National Recording Preservation Board (NRPB) and members of the public have nominated recordings to the National Registry. The breadth of nominations received highlights the richness of the nation's audio legacy and underscores the importance of assuring the long-term preservation of that legacy for future generations. Bluegrass music and related music (e.g., Charlie Poole) have a place in the registry. The Bluegrass music community is invited to contribute their suggestions for the National Recording Registry. Burlington, MA -- Earl Scruggs almost single-handedly perfected and popularized the rolling, three-finger banjo technique ("Scruggs Style") that has become the signature sound of bluegrass. Over a period of a couple of years, many of the best banjo players in bluegrass convened in Nashville to record this tribute to him. 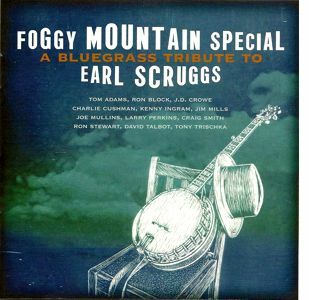 Foggy Mountain Special: A Bluegrass Tribute to Earl Scruggs will be released on Rounder Records. With his recent passing, this collection of never-before-released material has become a memorial album as well, for his pervasive influence can be heard on every track. Bluegrass banjo doesn't get much better than this. Arthel Lane "Doc" Watson, 89, passed away Tuesday, May 29, 2012. 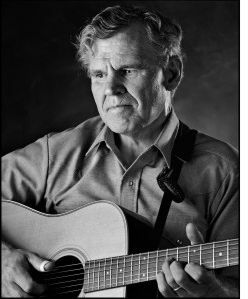 Affectionately known as Doc Watson, the guitar legend, songwriter, singer and artist performed bluegrass, blues, gospel, folk and country music. He was highly regarded in the bluegrass music community for his guitar style and innovation.